Many small business owners new to SEO have this idea that SEO is a complicated, technical process that is done by a web developer or a "smart computer nerd. " They feel unqualified to implement SEO, or even attempt to learn it. If you're a small business owner, you have likely heard at least one person suggest that you learn SEO (search engine optimization) and implement an online strategy for your business. After all, most people first look to the internet - either on their smartphones or computers - to find any business or service. You understand that you need a website, and that it requires a little work for it to show up on the search engines. And so you spend some time - maybe outsource the process - and build a basic website for your business. Maybe you use a pre-made template to get the website up and running. It turns out that, despite your best efforts, the website isn't "optimized " enough. You understand that, but you didn't want to deal with all that "SEO stuff. " From everything you heard, search engine optimization takes too much time, is too technical, and doesn't guarantee significant results. So why bother? If you think that SEO is the magic potion for immediate online success and profit, you'll be sorely disappointed and frustrated. SEO is valuable to your business's profitability, but it will take time before you'll see a return on investment (see below for more details on that). In business, every strategy and campaign must yield measurable, significant ROI. If it is something that won't help grow your business, you won't do it. Because the ROI from SEO is slow in arriving, many small business owners feel that SEO doesn't have any significance and therefore they relegate it to a lower priority. Those new to SEO will pour a lot of time and money into it and are often frustrated by the lack of results. This makes many business owners reluctant to begin an SEO Digital Marketing campaign and to stick it out for the long haul. The results will eventually come if the strategy is done right. They just won't be immediate. SEO is an invaluable strategy for one's business and should not be ignored. Be patient and look for logical processes, not magic. Those new to SEO think that this kind of online marketing strategy is a long, complicated process that includes many parts. While there are a lot of factors to consider when optimizing your website, they don't need to be all done at the same time. There are a couple options for busy business owners tackling SEO. The first option is to hand over all the SEO tasks and responsibilities to a Digital Marketing Agency. When you simply don't have the time to do it yourself, of course, you can delegate the entire process to an SEO company. This way, you can spend your time running your business while the agency runs the online campaign. The other option is to tackle the SEO yourself. Don't start off trying to do it all, but piecemeal it a little bit at a time. You'll save money and learn about SEO, but you'll spend a lot of time in the process. Many small business owners new to SEO have this idea that SEO is a complicated, technical process that is done by a web developer or a "smart computer nerd". They feel unqualified to implement SEO, or even attempt to learn it. Many elements of SEO, however, can be done by virtually anyone. You don't need a background in technical computer networking or development. Basic SEO is easy to learn and only takes a few hours of learning. When your company is young and you're new to SEO, it is best to only focus on implementing a few, simple, fundamental SEO elements and tactics. There are many technical elements to it, too (we'll get to those in a moment), and many small businesses are worried that agencies will try to overwhelm them with a ton of industry specific terms and strange claims. Don't let that worry you, though. Just explain your concerns and ask plenty of questions, and a good agency will walk you through every part of the strategy. If you're pursuing SEO yourself, you'll inevitably hear of Google's SEO penalties. It is true that there are a lot of potential penalties out there for the unwary. And if you're doing SEO on your own you may read about a foolproof method to achieve rankings, just to find out a month later that this is one of the things Google absolutely despises. We understand that you may be concerned about this kind of thing, which is why it's so important to build strategies around the known best practices. This is another reason why many small businesses prefer using agencies for this work - as long as they have a long history of providing effective strategies that don't risk the wrath of Google. Some business owners are reluctant to begin and implement an SEO strategy because they believe doing so would make them look gimmicky. This is usually because they've read about or seen instances in which SEO is used as a questionable strategy to earn and buy traffic. It's easy to fixate on many of these old tactics, and if you know what you're looking for, you can spot the SEO tactics on a website. But, in general, the best SEO practices have moved away from the formulaic processes. The technical aspects of SEO should remain in the background. The writing and the design, though, should be more directly related to the user experience. One of the widely talked about aspects of SEO are keywords. Keyword research and targeting is a common tactic that is immediately initiated when you start up a new campaign. If you're doing this on your own, you may immediately run into the vast number of relevant keywords and feel a bit overwhelmed with the possibilities. You were probably a little surprised when you first found out about all the factors that are taken into account to rank websites in Digital Marketing. In fact, it is estimated that there are more than 200 factors Google considers when ranking websites (and some say that "200 " is just a convenient round number and that the actual number of ranking factors is much higher). It is understandable that you may be hesitant and leery of taking the time and effort and making the investment in SEO. If you're new to SEO, these fears are common. Knowing what to expect from an SEO strategy beforehand can help calm some of those fears. SEO does take time, money and effort. The fears that SEO is too complicated, technical, gimmicky and involve possible penalties are common misconceptions people new to SEO have. Once you learn more about SEO yourself, you'll become more comfortable and confident to implement your own strategy or work closely with an agency. Think about SEO outsourcing. For many, the fear of taking action to find the perfect match stems from one or both of two issues: price and product, ultimately boiling down to one question: Can I find an affordable SEO company that can help me? Follow these steps to overcome your outsourcing fear and see your business grow. From the fear of missing out (FOMO) to the fear of success, you might find some deeper, underlying concerns with SEO outsourcing. Perhaps, in order to keep up with other small business owners, you're throwing yourself into other activities to reach an attainable level of business - and SEO is being pushed to the back burner. Maybe you're worried that the steps you're taking won't yield any results - or maybe you're hesitant because you don't feel prepared to handle excessive traffic to your site if they work. My colleague wrote an interesting blog post on fear, and does a great job of really breaking down the most common causes of fear. One that seems to be a significant trap in SEO is the fear of change - both on your side and the side of the search engines. This can be a valid fear, and many SEO masters have expressed similar concerns, having seen their own sites penalized. While much of this took place a few years ago, the surprise shake-up in Google's algorithm was enough to scare some away, and small businesses that were just dipping their toes in the SEO waters jumped out and ran as far as possible. Google still hands out penalties each time they update or take manual actions, but companies seem to be having better luck with Google more recently, so if you were one of those companies, you can rest assured knowing that you have a much better chance of SEO success now. SEO means you might have to change a few things, too. This might mean re-thinking your content marketing, looking at the construction of your Web site, or even beefing up your behind-the-scenes business practices, from production to customer relationship, to accommodate resulting growth. These changes, though, unlike the Google changes, can be a great step toward expanding your business and really analyzing your SEO practices. It gives you a chance to look at what you're doing right, what you want to expand, and the efforts you're taking that might not be as fruitful as you would like. At the same time, you'll start to get a better idea of your true SEO goals and what you hope to achieve through SEO outsourcing. Once you've analyzed the real reason for your SEO hesitation, it's time to put SEO in its place. Search engine optimization is a solid part of a diversified marketing plan. You'll undoubtedly feel greater stress and fear about SEO if you're creating and uploading content to please Google's bots and don't have a solid plan in place for the other areas of your marketing. If you remember, though, that SEO, like marketing, is designed to reach people first, you'll have a better chance at not only excelling with your optimization efforts, but in creating a comprehensive plan that blends each different component. The first plan you should create, then, isn't an SEO plan, but a marketing plan. This helps you to look at the truly important parts of your marketing, and gives you a big-picture perspective on your overall goals. Not sure where to start? Don't let that worry you. Check out the only marketing plan template you'll ever need - a list of thought-provoking questions that help you find out where and how SEO - and SEO outsourcing - can help you reach your ultimate goals. What's interesting is how many agencies view SEO and content marketing as completely separate, unrelated specialties. In the real world, they both work together to raise brand awareness and impact your business. Some of the key contributors to the way Google ranks Web pages are the same factors that impact whether or not readers will choose to interact with your business as a result of your content: authority and expertise from the content creator, trustworthy and accurate information, and content that adds value to the lives of the readers. Creating good content will organically lead to higher search engine rankings, since there's a greater chance that other reputable sites will choose to link to your pieces, searchers will find the content they want to read, and you'll find more people respond to your call to action and convert. To create your strategy, look at how the biggest factors in SEO can line up with your content marketing strategy. Content structure can be written to include subheadings. Top relevant keywords can be written into the content. Get to know industry influencers who will drive links and consumption of your content. Build up your backlinks by building your public relations and reaching new sources for your content. Consider moving to a secure site (HTTPS), which Google prefers and users appreciate. Once you identify an affordable SEO company, the professionals can help you hone in on the best focus areas for your company. It may seem counterintuitive, but taking action now puts you on the road to facing and overcoming your SEO outsourcing fear. As you can see, SEO and content marketing go hand-in-hand. You've created your marketing plan - jump in and start working the plan. As you do, you'll discover your voice, the way your users respond to your content, and will start to identify the keywords that will get you better results. At the same time, you'll be learning more about SEO. 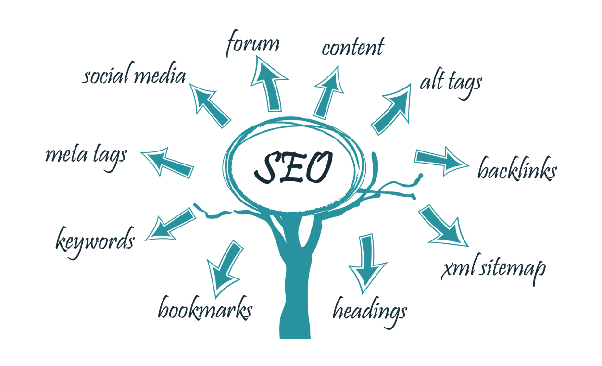 This includes basic knowledge about SEO itself along with some of the things you can expect from SEO outsourcing. The added benefit is you'll feel greater control over your company's SEO activities. Taking ownership of a job responsibility can lead to a deeper connection with the work involved and will help you give clear directions and information to the company you decide to work with for the management of your search engine optimization. As you take the plunge, you'll find that your fears about SEO in general start to dissipate. Why? Well, part of the fear of SEO and SEO outsourcing also comes from the fear of the unknown. When you weren't sure what to expect and how to make the pieces and parts fit together, you probably had a greater sense of unease. Seeing the steps in action can be a big step in vanquishing fear; putting the steps in action, though, will help you see that making the best use of search engines is a beneficial and doable part of your company's online growth. At this point, you've probably discovered that, while SEO is something you can accomplish, you'd love to see even better results. The time it takes to do that, though, is difficult to find when you're also performing other duties for your job The next logical step? SEO outsourcing, or finding a company that will help you take your Web game to the next level. Now that you've addressed the root cause of your fear and have a better grasp on what you hope to accomplish, finding the perfect partner will be less stressful. 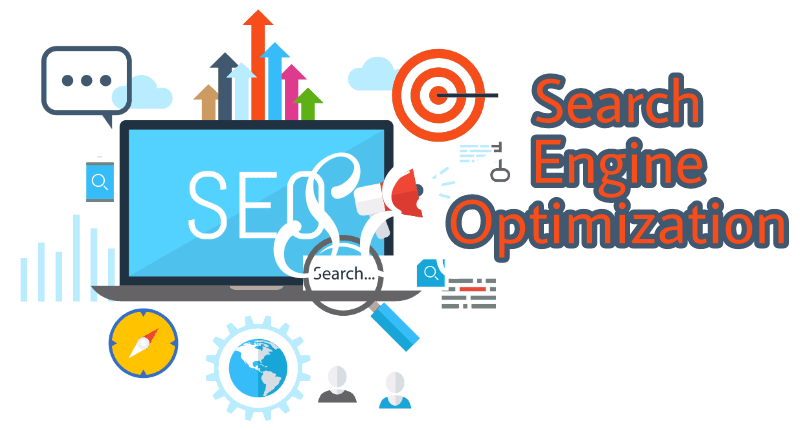 Firms that specialize in search engine optimization can be found at every price point and experience level, from large companies to one-person organizations, from those with a marketing or Web background to recent graduates eager to put their education and experience to use. We put together a list of the nine things you should look for when seeking out an SEO outsourcing partner. These include everything from finding native speakers of the target audience's language, looking for specialists with experience in other areas of marketing, and embracing patience. Start by talking with the company. Bring a list of questions, along with your goals, and let them explain to you the steps they would take. See how they respond to your questions, even if you know the answer you're looking for. You want a company who is going to come alongside you to grow your business, a long-term partner. The company should be one that makes you feel at ease and works with you to sharpen and hone in on realistic goals to improve your search engine rankings. The industry is fast-changing, with regular developments and algorithm updates. If you want to make sure that your content is being seen and ranked, taking a look at some of the common questions you'll want to ask about each page. can help you keep track of the work being done by your SEO outsourcing partner. Look at the type of content on each page, as well as the source of the content. Whether it's all text, graphics, or infographics, you should find a mix of content. Look to make sure each of the outbound links are correct and that you've accurately cited the source. Look at your audience: What actions are your visitors taking when they reach the page? Does your content and layout inspire or motivate them? Is there consistency in your various platforms? Look at the material covered in the content: Is is still relevant to your target audience? Is it up-to-date? Does it portray the current beliefs and opinions of the topic? Consider, too, the numbers component you can find in analytics. Performing an SEO audit of each page on your site is a time-consuming process, but one that will help you discover the pages that aren't performing or ranking well, the pages with content that hasn't been optimized, and pages with incorrect or outdated information. This is something you can do manually, or something that can be done with your SEO outsourcing partner. They can also help you assess indexed pages, ensure there are no 301 pages, take disavow steps for bad links, and stay on top of changes. The audit should be done at least once a year; some experts are recommending at least two audits annually. Track each action you take to ensure that the steps you're taking are making an impact by the time you next audit your site. This is also a good time to make sure the SEO outsourcing company is meeting your needs. If you haven't seen any noticeable improvements, it might be a good time to start searching for a company that will.